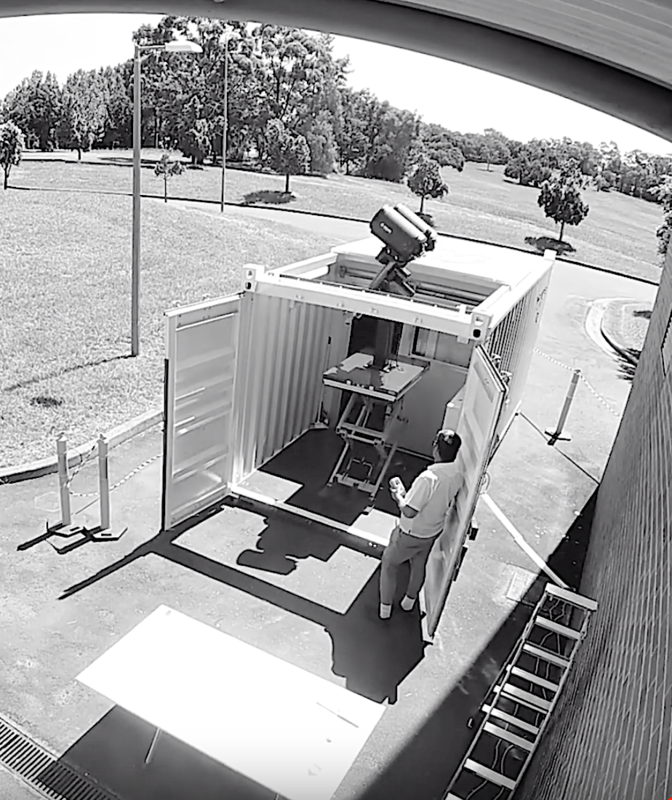 A revolutionary and world-first approach to space imaging led by Western Sydney University’s International Centre for Neuromorphic Systems (ICNS) will be demonstrated for the first time publicly at this year’s Avalon Airshow. The Astrosite™, a mobile space situational awareness (SSA) module, is set to have game-changing impacts on a number of fields, including defense. Using biologically-inspired event-based cameras — i.e. cameras that function like the eye and brain to overcome limitations of cameras exposure times and saturation — the Astrosite™ can capture objects in space with unprecedented temporal resolution, and during the day in real- time. Professor André van Schaik, Director of ICNS, said this innovative technique could be the key to making space a safer place. “With tens of thousands of man-made objects currently orbiting in space, the risk of collision between debris, satellites and spacecraft is real. This has become a serious concern not only for organizations with a commercial interest in space, but also for national and international defense agencies. “By using technology inspired by nature and biology, we have developed a dynamic imaging system that runs faster, computes more efficiently, uses far less power and produces less data than anything currently on the market,” said Professor van Schaik. Defense application of this technology has already sparked interest, with the RAAF’s Plan Jericho supporting the design and development of the Astrosite™. Project research lead Associate Professor Greg Cohen, said the the potential of this technology is game-changing. “The potential uses of this technology are endless. For example, the Astrosite™ can observe high-speed phenomena such as satellites and provide early warnings of potential collisions; allow the daytime recording of objects in low earth orbit; facilitate imaging in low-visibility environments; monitor space debris and allow the high-speed tracking of objects,” said Associate Professor Cohen. Deputy Vice-Chancellor (Research and Innovation) Professor Deborah Sweeney said this world-first research reflects Western Sydney University’s commitment to academic excellence and impact-driven research. “As a young and innovative University, we pride ourselves on establishing strategic partnerships and connecting research excellence with practical and positive impacts for the communities we serve. This project further cements Western as a world-class, collaborative and engaged university with a growing international reach and reputation for academic excellence and impact,” said Professor Sweeney. The Astrosite™ research team is based at the University’s International Centre for Neuromorphic Systems (ICNS). ICNS is a new research centre and part of the MARCS Institute for Brain, Behaviour and Development. The Centre is explicitly interdisciplinary, by combining electrical engineering, computer science, signal processing, and neuroscience. ICNS’s focus is on developing Neuromorphic Engineering solutions to existing problems. The Centre has strong international partnerships within the Neuromorphic engineering community. 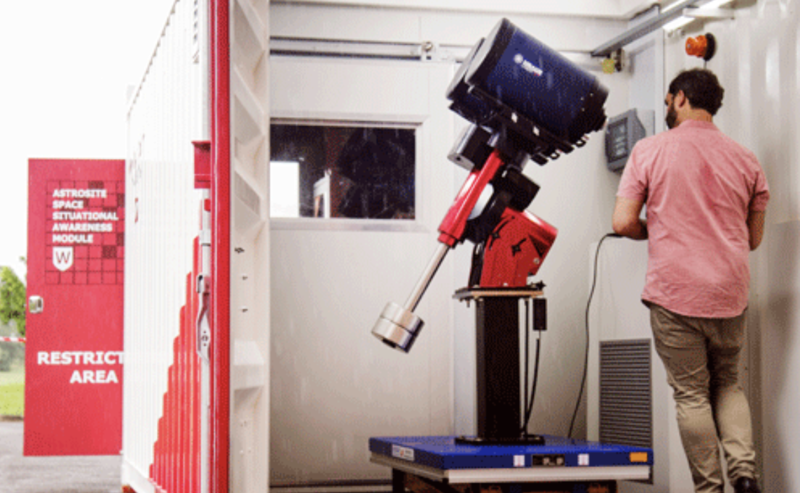 The Astrosite™ will be on display at the Avalon Airshow from 26 February – 3 March.